Beauty Professor: RoC Ambassador Musings...Products I Love, a Fabulous Interview with Dr. Erin Gilbert + a Giveaway! 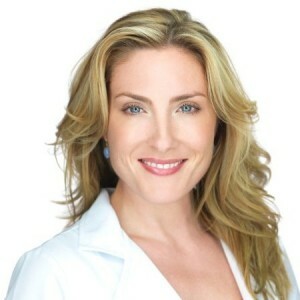 RoC Ambassador Musings...Products I Love, a Fabulous Interview with Dr. Erin Gilbert + a Giveaway! Above: My RoC Ambassador welcome basket! Imagine my surprise and delight when I was informed that I was chosen to be a 2013-2013 RoC Skincare Ambassador! Known for their advancements with Retinol delivery, RoC's anti-aging products are simply fantastic; they are cutting-edge, potent and make the fight against aging skin an affordable experience. To get me started, I was sent a fabulous welcome basket, filled to the brim with RoC products and a few other goodies! Above: Yes, Jethro and I were quite surprised upon receiving the news. Over the past few months, I have really enjoyed my experience with RoC products...I must admit, my skincare regimen is rather eclectic; that is, I don't use exclusively use products from a single line. That being said, I have encountered great success with both the RoC Retinol Correxion Sensitive Eye Cream and the RoC Daily Resurfacing Disks. I am finally at a point in my life where I cannot escape the necessity for eye cream. In the past, I rationalized that whatever facial serum I used would also be active in my orbital area (I acknowledge the somewhat faulty logic there) but now I've acquiesced to the fact that I need something targeted for the skin around my eyes. The RoC Correxion Sensitive Eye Cream caters to one who may have qualms about the potential side effects of retinol (e.g., dryness, redness, peeling etc.). Dabbed carefully around my eye area every couple of nights, the retinol concentration is potent enough to smooth fine lines but gentle enough to do so without the expected irritation associated with a traditional retinol product! The Daily Resurfacing Disks were also a pleasant discovery! This exfoliation-oriented product features two-sided texturized pads that are self-foaming to cleanse the skin, while delivering a refining effect that truly makes my skin glow. They remind me a bit of both the Somme Institute Transport Pads and Peter Thomas Roth Un-wrinkle pads in terms of purpose and experience but the size and scope of these disks are significantly better because they simultaneously remove makeup and smooth the skin. Above: The texturized side exfoliates away dirt, oil and complexion-dulling impurities. Above: The smooth and soft side gently cleanses and removes makeup around the delicate eye area. Above: Jethro and I are happy about this. All in all, these two products have been a very positive inclusion in my daily routine, giving me smoother, more radiant skin that glows without traditional retinol irritation! Above: In addition to practicing dermatology in NYC, Dr. Erin Gilbert works closely with RoC Skincare to develop and research new products. Q (Beauty Professor): What are the three most important things a woman can do to fight the effects of facial aging? A (Dr. Gilbert): "Sunscreen, retinol and antioxidants. Sunscreen and retinol are key components to any anti-aging regimen because they are important in preserving collage and preventing hyper pigmentation. Collagen preservation and stimulation, as well as superficial textural changes, are going to be prevented by the retinol. With regular sunscreen use, your collagen is going to be protected and wrinkles are going to be avoided." Q (BP): What ingredients should a consumer look for when selecting an effective anti-aging product? A (Dr. G): "Retinols are vitamin A derived, so Vitamin A is something to look for if you are interested in a retinol-type product. Vitamin E has antioxidants as well as moisturizing effects. I would also look for the antioxidant vitamin D."
Q (BP): What is your favorite product for keeping the lips moisturized and fine lines at bay? A (Dr. G): "I actually like Neutrogena Naturals Lip Balm, Vaseline Lip Balm SPF 30 an dElta MD. These are some really great options." Q (BP): What are your thoughts on the immediate and long-term effects of physical vs. chemical sunscreen? A (Dr. G): "Sunscreen has proven to be critical in anti-aging regimens and the thing we are starting to realize more an dmore in the United States is the importance of broad spectrum sunscreen. Wearing a broad spectrum sunscreen on your face, hands, arms and chest on a daily basis is crucial." "There are two types of sunscreen: physical blockers and chemical blockers. Physical blockers contain titanium and they provide sun protection by reflecting and deflecting the sun. In other words, they are almost like metal shields, blocking the rays and reflecting them off of your skin. Chemical sunscreen absorbs the UV rays and that's a different mechanism of preventing your skin against UV damage. There's a lot of controversy surrounding chemical sunscreens being somewhat toxic. Therefore, if you are a purist, you are probably going to gear towards more of the physical blockers use of sunscreen. For those people who under-use their sunscreen, I tell all my patients they should be applying sunscreen every morning as part of their basic skincare regimen. The American Academy of Dermatology recommends you reapply your sunscreen every two hours." Q (BP): What is the most common mistake/bad habit you see your patients make with their skin? A (Dr. G): "Picking and scratching! The reason is that literally 10 minutes in the mirror can buy you six months of hyper pigmentation. Patients come in and complain about their pigmentation and I ask if they have been picking. It is best to leave your skin alone." Q (BP): Any final advice to those hoping to preserve the skin their in? A (Dr. G): "I would say the most important thing is a healthy lifestyle. So diet and exercise, sun protection, hydration, good skin care practices, meaning good moisturization and retinol use--those as a combo universally keep people looking really good!" Above: Anytime I know I'll be in the sun, I make sure to apply a healthy dose of physical sunscreen of at least SPF 30 and wear a full-brimmed hat...one cannot play it too safe in the sun! 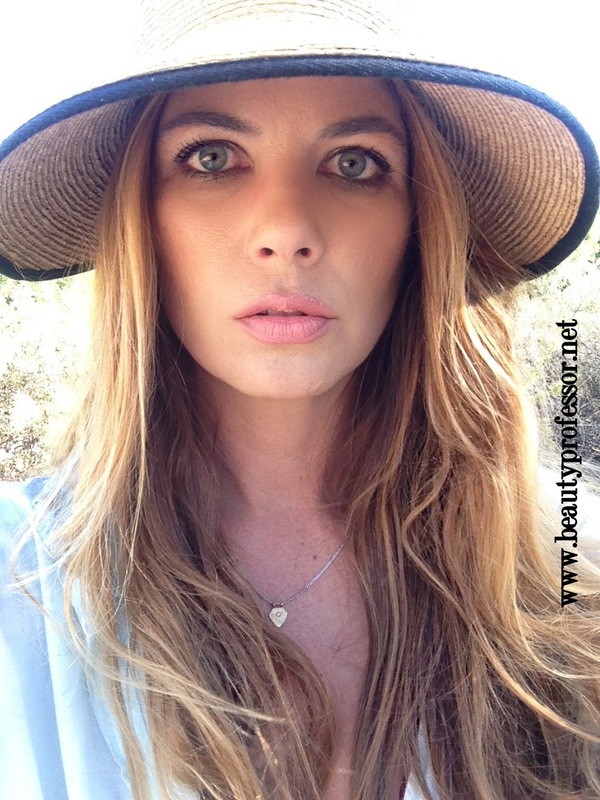 Sunscreen, shade, retinols and hydration...these are habits I can (and do!) embrace...it's encouraging to know that pursuing an anti-aging lifestyle doesn't have to be impossible! Above: One giveaway entrant will win a jar of RoC Daily Resurfacing Disks and tube of Retinol Correxion Sensitive Eye Cream! In honor of my partnership with RoC, I am excited to announce my first ever Beauty Professor Giveaway! One fortunate reader will be randomly selected to win their very own RoC Daily Resurfacing Disks and RoC Retinol Correxion Sensitive Eye Cream (mailed directly to the winner from the PR firm that represents RoC). The contest begins today and runs until 7 PM Pacific Time on 7/17/13, at which point, a winner will be chosen at random and informed via email no later than 48 hours after contest end date. The winner will have 48 hours from the point at which the email is sent to respond via email to claim their prize and provide their mailing address. Bottom Line: I am proud to be a RoC Ambassador for the year...the RoC products are accessible and effective and the scientific research behind the brand is impressive. For those seeking younger, clearer and smoother skin, retinol is a fantastic option...in my opinion, it is never too early to start the battle against aging! Hi B.P and congrats again on being chosen for the Roc Ambassador. My anti-aging strategies are much like yours. First & foremost I wash all the makeup off everynight & use great skincare at night. In the a.m I always apply sunscreen whether it's a cream or tinted moisturizer. I look for cosmetics that also have anti-aging ingredients that multi-task like LMdB Peau vierge. Retinol & vitamin C are a big part of my regimen as well. Staying out of the sun as best as I can is #1. Love wide-brim hats too! Using a very gentle cleanser like Purity from Philosophy helps to keep my skin hydrated & doesnt strip it at all. Being told I look 15 years younger than I am....Priceless! Thank you so much, Lynn! I love that we share similar approaches to anti-aging! What is one of your favorite Vitamin C products? Looking 15 years younger....that is absolutely fabulous! Thanks for sharing and hope your week is going well. I use Vitamin C, potent sunscreen and retinol to prevent anti-aging. Murad has a great vitamin c cream. My anti-aging strategies are exfoliation using AHA/BHA based products, facial oils such as Tarte's Marula Oil and By Nieves "C" Perfect Skin, and sunscreen. My current favorite sunscreen is Origin's A Perfect World, as it works well with my oily skin. Admittedly, I was resistant to wearing sunscreen for years, so I'm dealing with the effects of accumulated sun damage. Better late than never, however! Congrats to you! You are amazing and so worthy of such an honor. 1. Sunscreen, retinol and antioxidants - this is a must for my daily skin-care regime. 3. Skin fiddling - I never did, do it or ever will. It's the worse thing ever for your skin. Oh Carol...thank you so much...your words are so kind! Your non-negotiable strategies are brilliant...completely focused and reasonable! Thanks for doing a greet giveaway! I always enjoy your posts. The biggest anti-aging defense for me has been to avoid the sun. I have mostly stayed out of the sun as far as tanning since high school and I am just staring to see the first evidence of fine lines around my eyes and mouth (smile lines) as I am approaching forty. So, I'm pretty happy with that because I don't really feel my age. Cleansing and exfoliating my face regularly is a must. I also use an olive oil based soap everyday and a vitamin C serum from l'Athene. I would like to try adding a Retinol cream to my routine. My pleasure, Heather! I am excited about the opportunity ; ) Thank you for your great tips...I am impressed that you have managed to stay out of the sun since high school...excellent will power! Thank you for your product suggestion and lifestyle strategies...wonderful one and all!! (1) Sun-related: Zero Sun on Face... EVER (sad, I know - but I need to pay for past sunbathing sins in high school)/Hats/Sunglasses for sun protection and also to prevent squinting/Sunblock (on hands & decolletage also). (2) Renova or Retin-A for dark spots. (3) No matter how late, I wash all of my makeup off completely before bed. I am not even sure I could sleep wearing a full face at this age without worrying about what was going to be happening to my pores! At the very least, use a baby wipe or face wipe and take off as much as you can if you are super tired. (I usually use a few at the end to see if I can spot any remaining makeup particles!). I know, a wee bit obsessive. Thank you ever so much! Your eye is good...the Longchamp pouch was one of the "goodies" added to the RoC welcome basket...imagine my delight! Dear Beauty Professor, i love your blog and videos please keep posting! I so appreciate your anti-aging strategies...thanks for sharing! Congratulations on becoming an ambassador. You and Jethro really do know how to collaborate on working the camera. Because I have mild rosacea, I have to take a slightly different route with anti-aging. A lot of anti-ageing products are too aggressive for rosacea-prone skin. That's why I'm intrigued by RoC's sensitive eye cream. 1. Sunscreen everyday since my teen years--I'm 38. I prefer Elta MD for my face, Blue Lizard and Vanicream for my body, an all physical sunscreen stick for babies in my purse for quick touch-ups, and Eucerin SPF 15 lotion, (put in a travel tube for my purse for quick incidental sun exposure to my hands--I put sunscreen on my hands, but with frequent hand washing, the Eucerin is a safety net for the few minutes before I can re-apply sunscreen.). 2. My beloved Avene skin recovery/for intolerant skin cream. Rosacea flare ups can affect the health of the skin in terms of resilience and dryness, which can have an impact on ageing. Plus, rosacea tends to flare in areas that accentuate naso-labial(spelling?) folds. So, calming skin keeps it in better overall condition. 3. I tend to focus on caring for fine lines in terms of ageing. I've noticed that fine lines can give off the impression of fatigue. I've noticed older ladies in their 70s who have wrinkles, but whose skin looks really healthy and clean are achieving it by doing stuff to keep it plump with moisturizer and simple serums. I'm fan of peptide serums for plumping fine lines. Boots P&P Intense serum causes no flare ups. Boots does actually plump up my forehead, though its effect is less dramatic on the eye area for me. Your strategies are splendid...thank you so much for sharing such detail...those who are dealing with rosacea are sure to find these tips and products to be of great use. 2) eat food that are full of collagen inducing ingredients and the "good fats", eg salmon, avocados and for collagen citric fruits. Thanks for sharing!! Love that you included dietary strategies as well..."good fats" are the best ; ) I don't drink or smoke either...high five!! Drink lots of water for hydrated skin, sunscreen is a must in Texas and I recently quit smoking (which is huge!) And that will help in a big way....now for products to prevent, protect and ease my already damaged skin. Hello Sherry...thanks for stopping by...love your tips! What part of Texas do you live in? I love that state! Well done on quitting smoking...it can be such a challenging habit to break and I commend you on your feat! !